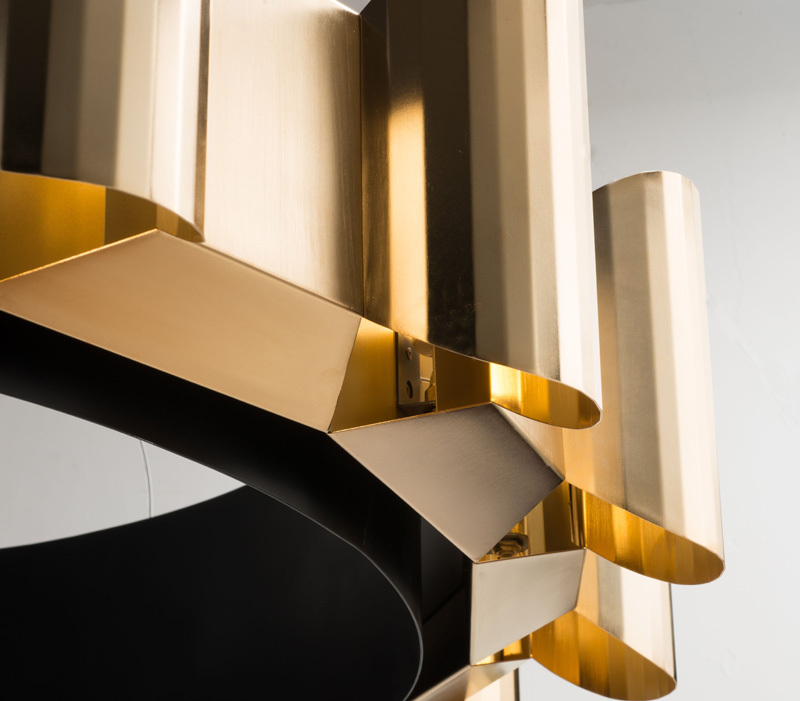 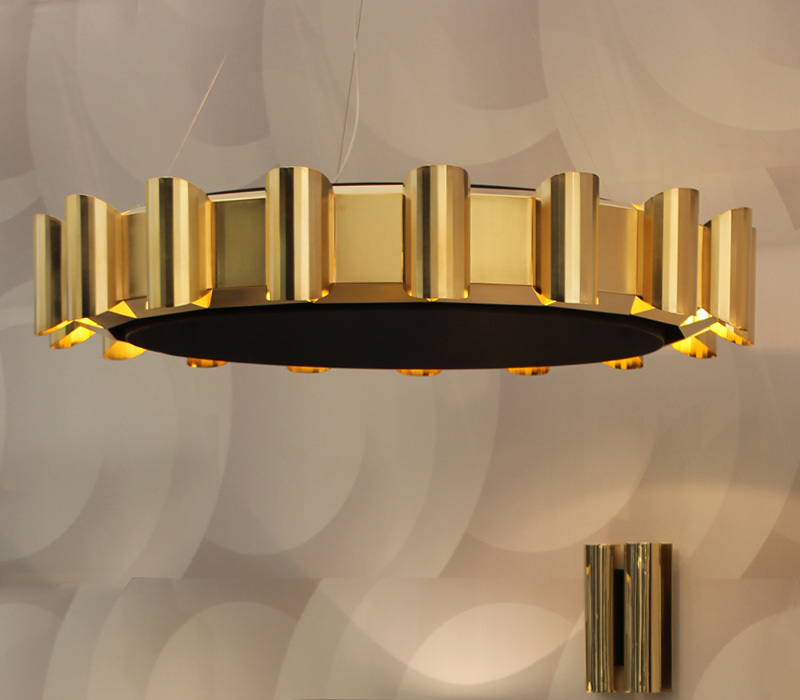 The Helios Chandelier has a pure, sculptural quality inspired by the Modernist aesthetics of early 20th century architecture. 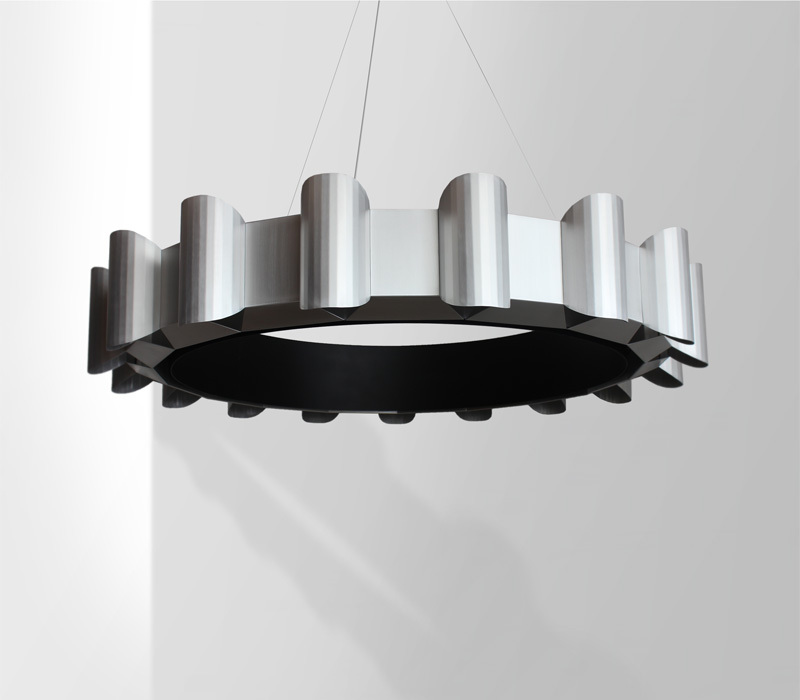 This ethos is expressed by the subtle texture and interlocking geometric shapes to create a large centrepiece chandelier of cool serenity. 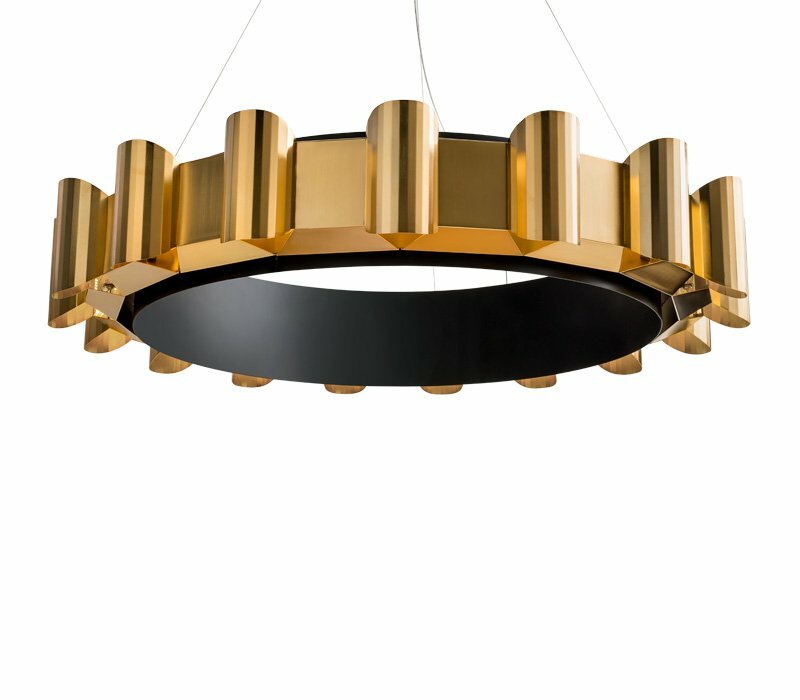 Finishes: Available in gold, silver, gold & black, silver & black.